We are an event rental equipment supplier as we supply party rental and event rental companies throughout the United States with crowd control barricades, VIP post and velvet ropes and retractable line stanchions for their event rental needs. Crowd control rentals are very profitable segment for event rental and party rental companies located in large metropolitan markets. Our low prices allow event rental companies to recoup their initial expense in as little as three rentals which includes the shipping cost. 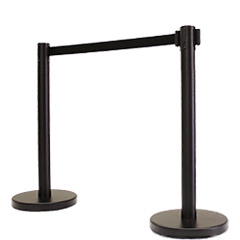 Currently, the most popular stanchions for rental companies to purchase are the black retractable stanchions with black belts. The most popular post and rope combo are currently chrome stanchion posts with black velour ropes. There is also a strong demand for red stanchion ropes as well. A very popular rental item for large events are crowd control barricades also known as pedestrian barricades. These are ideal for marathons, parade routes, sporting events, concerts and large public gatherings where crowd control is essential. 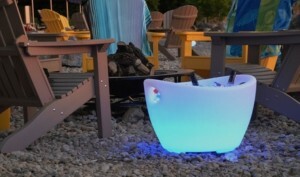 These pack tight on a flatbed truck and can be set up and removed relatively quickly. The flat foot barricades are designed for hard level surfaces such as asphalt and concrete. The bridge foot barricades are for grassy areas or where the surface is not flat. Other profitable event rental equipment includes evaporative outdoor cooling fans. We have multiple models of evaporative cooling fans and misting fans to choose from as we are a distributor of Port A Cool, Cool Space, Power Breezer and Breezer Oasys outdoor cooling fans. Another unique rental item becoming more and more popular are LED balls, LED cubes and LED ice bins. We can supply you with those as well. Contact us with your shipping destination and what your event rental company needs and we will be happy to provide you with an estimate for your crowd control and event rental equipment.